During the Second World War, art treasures from Jewish homes throughout Europe were confiscated, surrendered or sold under duress. This initiative is a pursuit dedicated to memory of the owners who perished during the Holocaust. A Gesture Worth Noting… This is BIG because it may be just the catalyst for other German institutions to reach out and involve the Heirs and Holocaust Survivor community in the process of provenance checking. Hopefully, the next step will be to publicize all their “provenance poor” objects in a viewable database so people can search on their own and make their own claims. The City of Nuremberg has sent a request for information about the provenance of art works that came into their possession under dubious circumstances in the 1930-1940 period. They are seeking information about paintings, graphics, furniture and ceremonial objects that Jews were forced to hand over and were acquired through art dealers by the city. The aim is return of objects to rightful heirs. 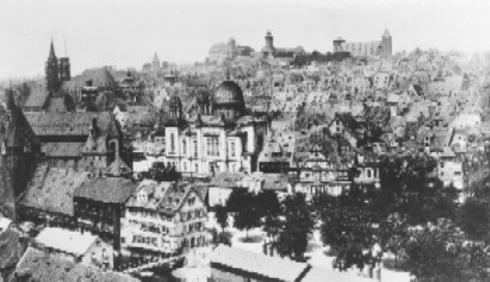 Their research is based on documents in the City Archives, the Bavarian State Archives and the German National Museum. The documentation has big gaps and at the moment it is not possible to determine the former owners. The Director, Dr. Dominik Radlmaier, asks for photos, details of flats(apartments) and personal records relating to stolen cultural assets to be sent to him. 1. The Washington Principles of 1998 and the mutual declaration of the Federal government, states, and municipal umbrella organizations of 1999 are endorsed. 2. There is unanimity that provenance research must be strengthened in Germany. Museums and cultural institutions are asked to carry out systematic, comprehensive provenance research, something to which their supporting agencies have committed themselves. The agencies supporting museums must provide sufficient funds to allow provenance research to be carried out. Existing deficits are to be worked off as quickly as possible. The results must be publicized promptly and are to be published in the freely accessible Lost Art Internet Database. 3. The Federal Republic of Germany’s commitment under the Washington Principles and the mutual declaration of 1999 must now be realized in practice. In an individual case, that means that the prerequisites for fair and just solutions must be created in on-going restitution proceedings. However, this also means that the proceedings must be transparent. 4. In contested cases, the Advisory Commission chaired by Professor Limbach should be able to issue recommendations, even where requested by only one party. The Commission’s recommendations and the detailed grounds on which they are based are to be published. 5. Participants in the conference recommend, almost 10 years after the Washington Declaration, that a follow-up conference be organized at which the participating states present their experience and at which, if necessary, proposals for improved procedures in implementing the Washington Declaration be adopted.